In previous posts I mentioned how you can find Portuguese in every corner of the world. Mexico is no exception. Where there are Portuguese there is bound to be a restaurant where people can get together and have great Portuguese food. It helps to cope with the “saudades” which is the longing we have for our country and our wonderful cuisine. 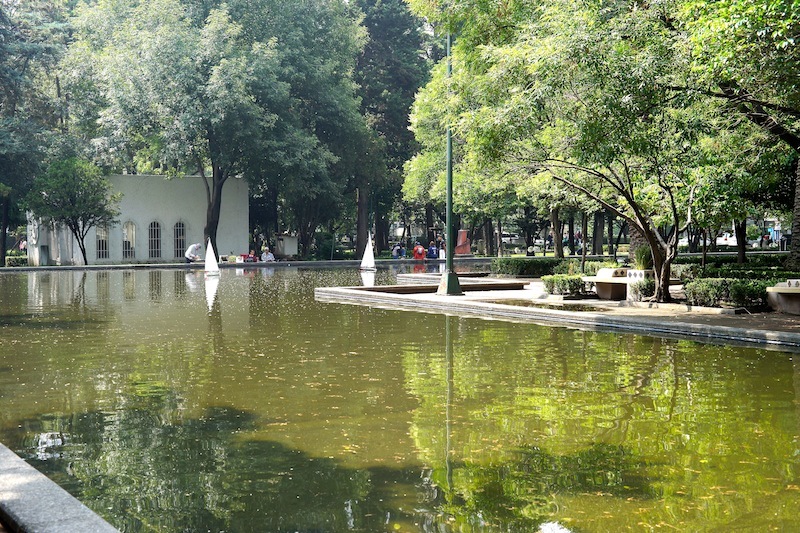 Casa Portuguesa in the Polanco trendy neighborhood is one such example. Their cuisine is based on Portuguese traditional dishes. There is also a bit of Mexican flavour. After all Mexico is the country that welcomed the owner’s Portuguese father. It also gave the Mexican born owner, Maria da Silva, the opportunity to showcase a taste of our culinary traditions. 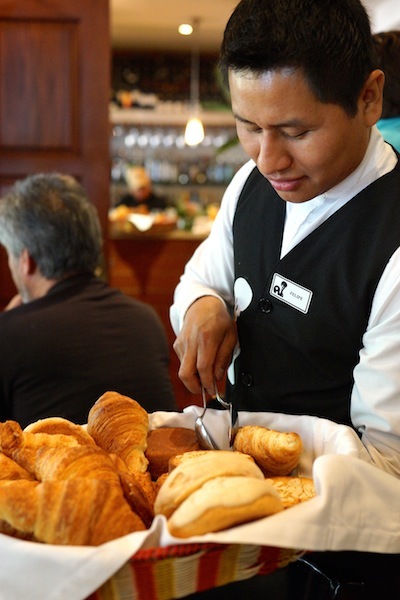 Weekend breakfasts in Mexico are a big deal. Mexicans love to go out on weekends to have breakfast outside at their favored restaurant. Whole families look for their usual spot and spend hours talking and eating. They don’t get up very early though. Although most places are opened at 8 a.m, the peak of the breakfast traffic is after 11.30. Breakfast runs until at least 1.30 p.m so you don’t really need to rush. However, if the place is very popular, there will be a waiting period. It can go from a few minutes to an hour or more. Casa Portuguesa is one such example but they do try to accommodate you as fast as they can. It is worth the wait. We went for breakfast on Father’s day and you can see how busy they were. Although people were waiting outside, we still managed to get a table 15 minutes after we arrived. A crime had been committed in Barcelos. At the same time a man from neighbouring Galicia was passing through the city claiming he was on a pilgrimage to Santiago de Compostela. The authorities doubted his story and thought they had found the culprit. He was later tried, convicted and condemned to hang in spite of his pleas of innocence. The day of his execution he requested to see the magistrate who had sentenced him. He wanted to plea his case one last time. They took him to the magistrate’s house who was having a banquet with some guests. He pleaded his innocence one last time claiming he would prove he was not guilty. According to him this would happen when the roasted rooster on the table got up and crowed three times. The magistrate dismissed him and he was taken for execution. Suddenly, to the amazement of the guests, the rooster did get up and crowed three times. The magistrate managed to stop the execution on time and the man was released. A few years later the pilgrim came back to Barcelos and built a monument in honor of the Virgin Mary and St. James. Since then the rooster has become a symbol of honesty and honor. If you have one in your home, it is supposed to bring you luck. 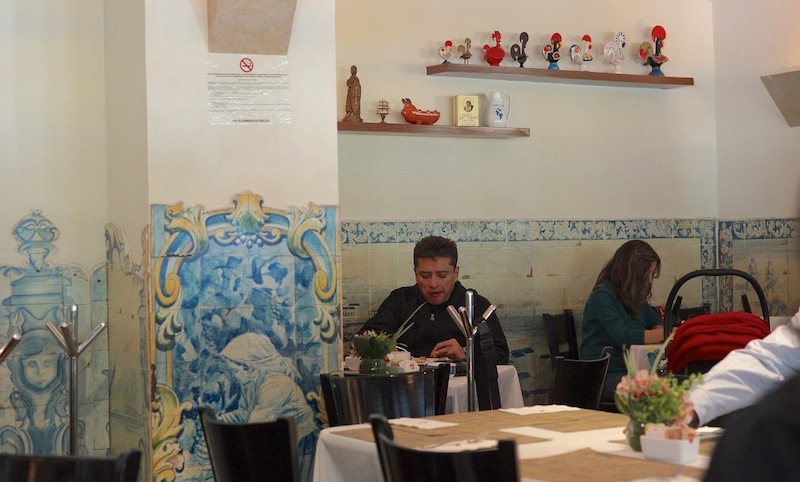 Inside the restaurant you find other versions of this typical Portuguese symbol and the famous Portuguese tiles. You usually start with the sweet breads here in Mexico. These come from the bakery Da Silva which is owned by the brother of the owner. 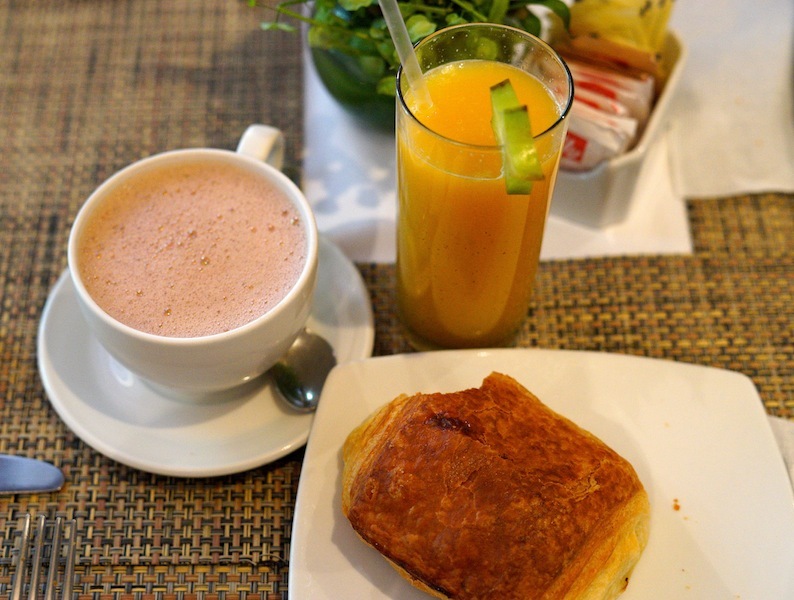 My husband will always go for chocolate no matter what, so he had a pain au chocolat, a hot chocolate and an orange/maracuya juice. 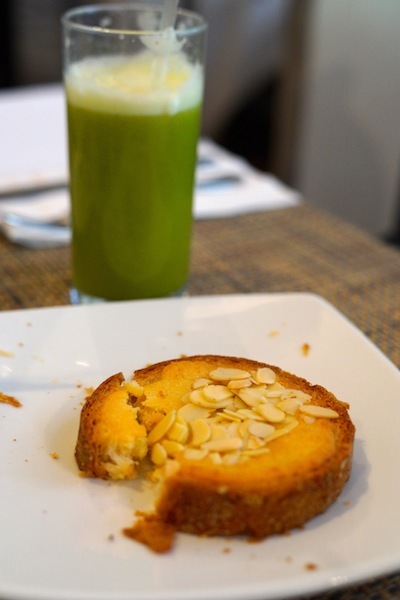 Everything is baked fresh and the juices are all natural which is a delight. The staff is also really nice and attentive to every detail. Next we passed to the savory dishes. 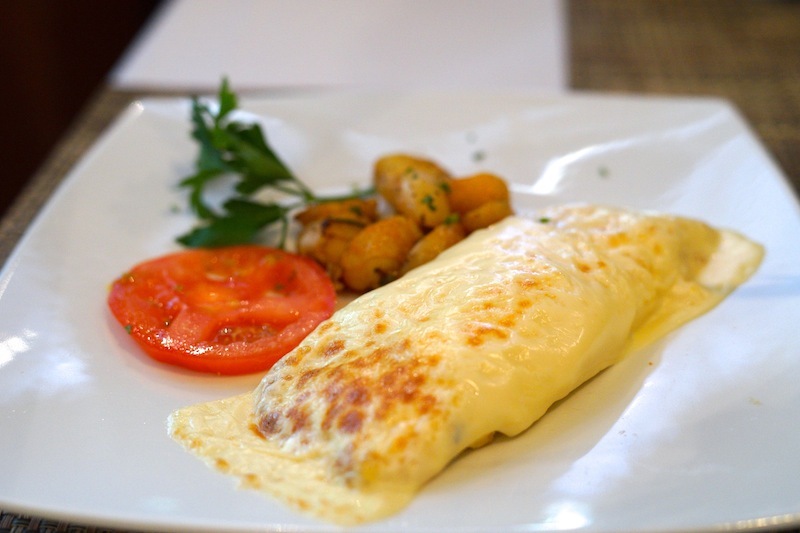 As I am Portuguese and from Lisbon, I decided to be very original and choose the omelet Lisboa. Apart from the obvious, I chose it because when you open it there is a welcome surprise. Bacalao (codfish), onion, tomato and herbs, all of which remind me of home. 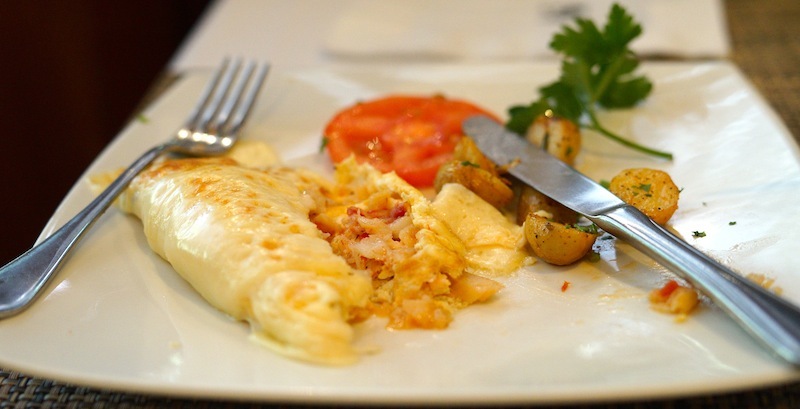 The omelet is accompanied by roasted potatoes with parsley, something very Portuguese as well. My husband who is not Portuguese but Austrian, decided to go for a classic, eggs benedict. 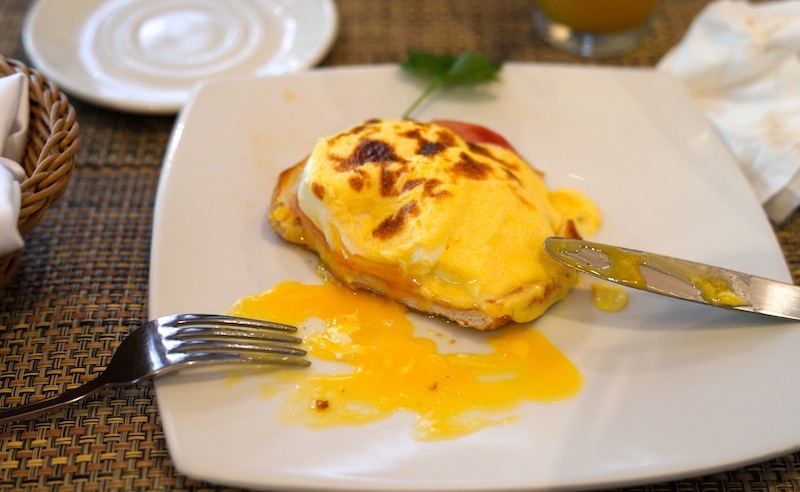 He loved the creaminess of the yolks. A Portuguese meal could not end without the typical “bica” (strong espresso coffee) which we Portuguese love. 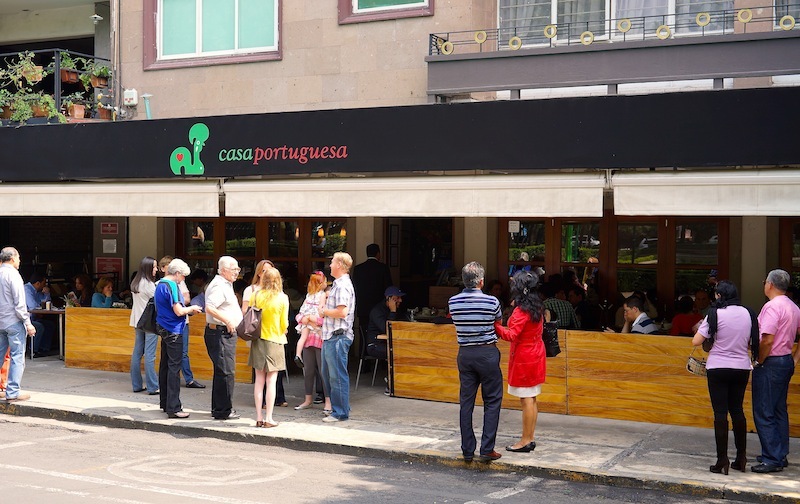 So if you are ever in Mexico city and want to have a small taste of Portugal while here, I strongly recommend Casa Portuguesa in Polanco. The lunch and dinner menus have dishes from several regions in Portugal and are also worth a taste. On Saturday evenings they have live Portuguese music. 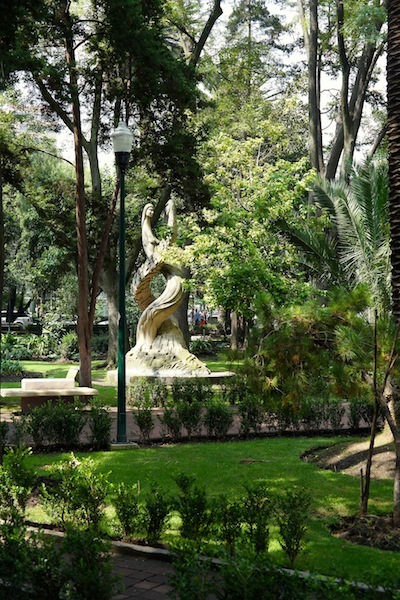 Opposite the restaurant you find a Park called “Parque de los Espejos”. 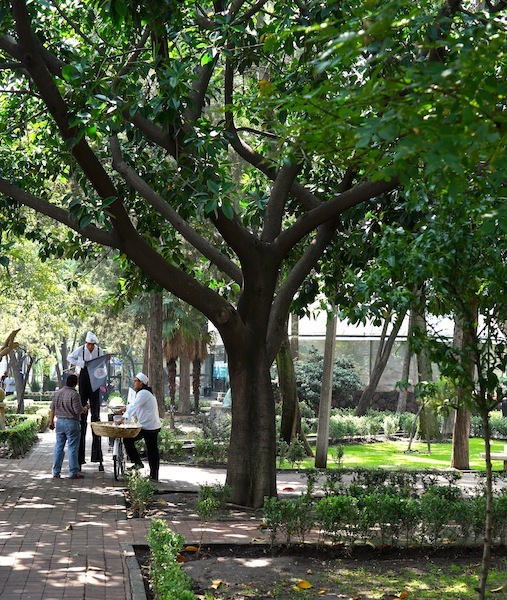 It is a beautiful place for a stroll after eating at Casa Portuguesa.